Smaller enterprises today are faced with economic challenges and limited resources on the one hand, and IT compliance demands on the other. Ultimately, which controls truly matter, where are the possible weak links and what are some of the available options? 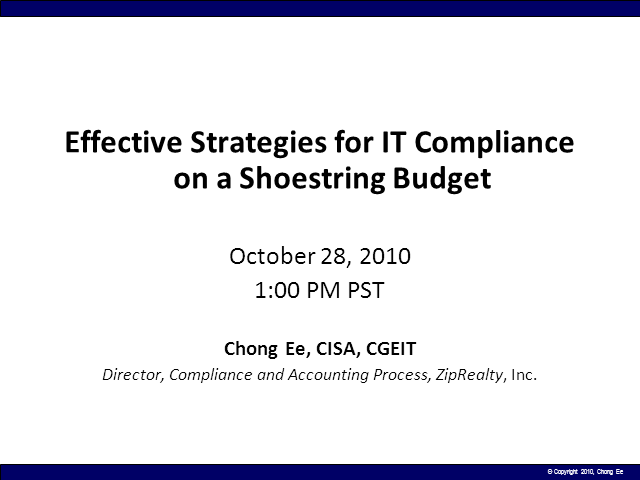 This session covers key strategies that are geared towards building an IT compliance program that is effective and sustainable over time.